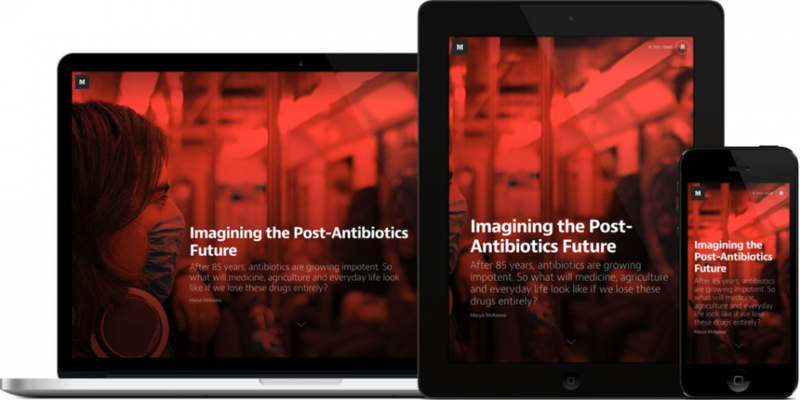 The blog publishing service Medium launched its iOS application just over two weeks ago. Medium, which rivals blogging services like Tumblr and WordPress, was founded by the same duo that created Twitter and Blogger, Evan Williams and Biz Stone. The web version of the service was launched two years ago, and provides a variety of neat features that make the platform easy to use and read. From an editing perspective, Medium provides a full “what you see is what you get” interface which allows users to cut down on editing time after they have finished creating content by allowing them to edit one another’s content. Medium also offers a useful “read time” icon that gives blog browsers an idea of how long it will take them to read an article. Users can also recommend and share blog posts, similar to how tweets can be favourited and retweeted on Twitter. Posts can also be upvoted. The reading experience is also enjoyable because each paragraph of a post can be commented on individually, so that opinions and discussions on the post are more organized and accessible. The blogs themselves are also organized by topic in collections. There is also a top 100 list of the most read stories each month. This blogging experience is topped off by a sleek design that features a full-screen image with a title, from which one scrolls down to read the text component of the article. The iOS version of the application comes with the same roster of features and, like its web-based platform, it offers integration with a user’s twitter account. Based on a user’s Twitter usage, it can be either very useful or a bit of a nuisance. Navigation on the app is a bit tricky because the app only allows readers to swipe side-to-side between stories and up-and-down to read, and then share or favourite. Another downside is that navigating the editing and collection features is less intuitive than on a computer. In any event, Medium provides a clean and simple way of sharing stories that will certainly rival its competitors, both on our computers and on our cellphones.